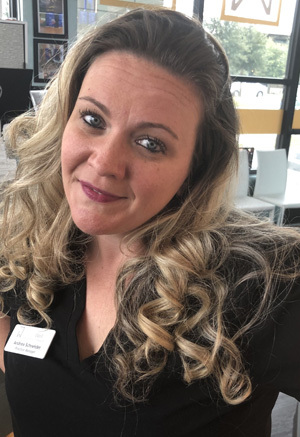 Andrea Schneider started her medical billing/administration journey at the ripe old age of 19 and she is now a mature, but still younger adult. Currently she in the process of obtaining her bachelor’s degree in Business Administration with a concentration in Healthcare Management. Andrea found her niche in the chiropractic world approximately 8 years ago and has made it her professional goal to grow in the field with the ever-changing rules and guidelines. Andrea’s mantra is “knowledge is power!” and she constantly looks for ways to attain more knowledge and share knowledge wherever with anyone who also wants to learn. Andrea is thrilled to be part of the RejuvaWell team and she is excited to help the practice grow and help all of our patients live their best life now. She was born and raised in the great state of Texas. She has four children, ranging in age from 19 years old to 7 years old, and is happily married. Her number one love in life is her children and she is constantly striving to lead by example, which means she sometimes bites her tongue like all parents do. Andrea enjoys spending time outdoors, especially in the sunshine! Her favorite pastime is relaxing on the beach. Her hobbies include hunting, fishing, ATV-ing and anything involving her family.